Merchandising Cabinets - G.A. Systems, Inc. 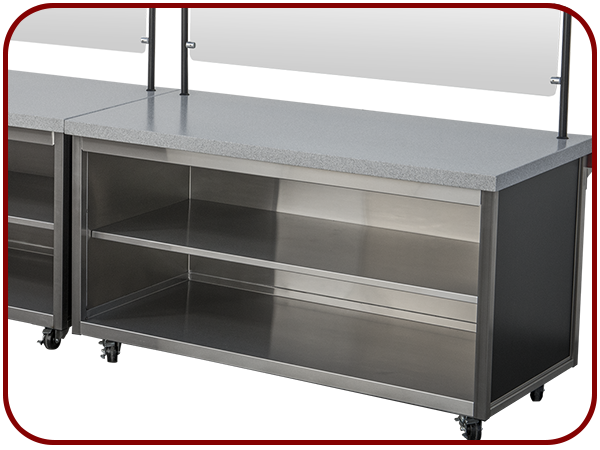 Merchandising cabinets are stainless steel flat top counters. They are used for merchandising ambient food items, condiments and with the use of accessories like sneeze guards with heat lamps they display and serve hot food items. 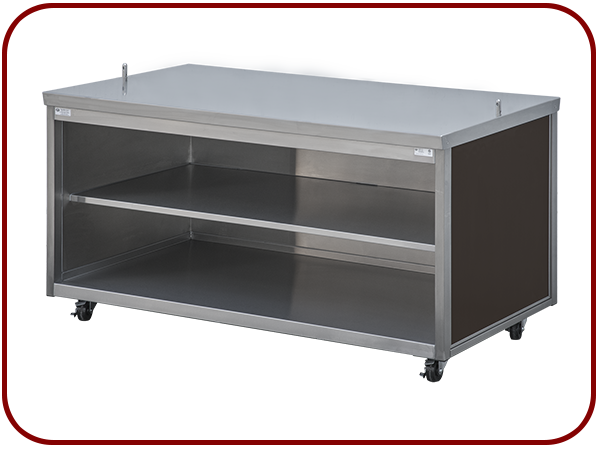 Our standard 48” and 54” length mobile merchandisers come with two laminated sliding doors and two connecting pins on the top to connect with other G.A. Systems Speedline cabinets. You may choose to upgrade with solid surface material for the counter top. Other options would be no doors, no pins, intermediate stainless steel shelf, double shelf display and merchandising racks to name a few. The double-sided display provides for the perfect display of products at room temperature. Capable of holding eight, each individually organized, baskets offering you plenty of capacity and easy inventory control. 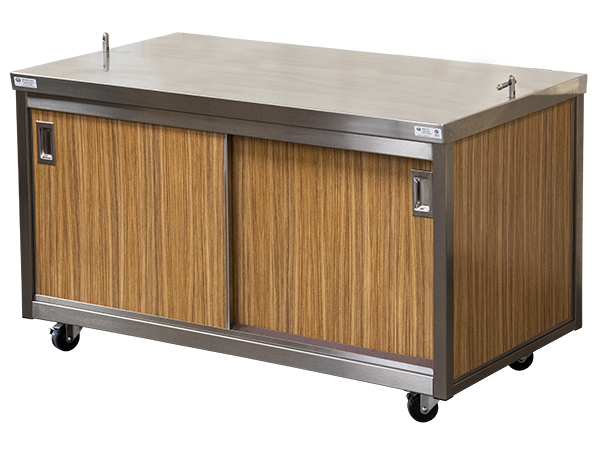 that accepts up to six lids from “Speedee-Serv” Heated and Refrigerated Cabinets. The sliding doors and track that seal the base section are easily removed.